Imagine a world in which mosquitoes choose blossoms over blood. Nice, right? There already exists a mosquito species called Wyeomyia smithii in which most of the bugs refuse blood meals in favor of sweet floral nectar. And new research is helping to explain the evolutionary genetics of the switch from blood sucker to flower fanatic. 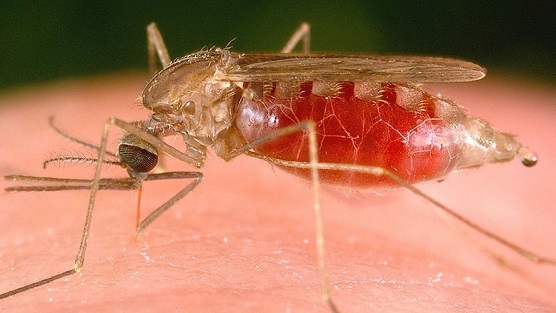 The researchers, including co-lead author David Denlinger of The Ohio State University, expect that all of the mosquitoes in the species once relied on blood for nourishment and that over time, some evolved to prefer plants. He suspects that the majority of the species moved away from blood meals because of the associated risks – risks that include the aggravated patio-sitting human. “Blood meals come at a cost. A person could swat you – even do you in,” Denlinger said. On top of that, the warm meal is a stressor on the mosquito’s body and can contain agents that are toxic to the bug. “If you could survive without taking all those risks, there could be some evolutionary advantages,” Denlinger said.